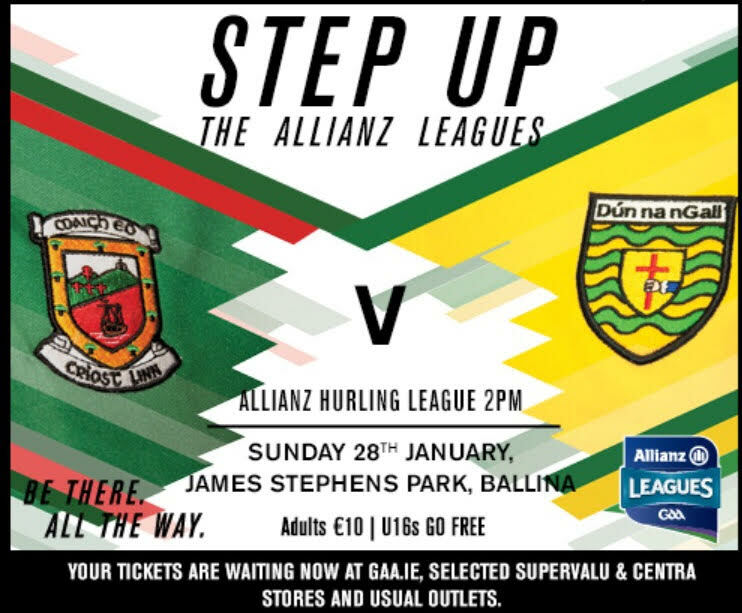 The Allianz Hurling league starts this weekend with Mayo at home (Ballina Stephenites) on Sunday to face Donegal.Since Mayo's last competitive game in the Christy Ring Cup-Relegation Playoff against Roscommon last May, there has been a change to management as JP Coen and his backroom staff stepped down.Derek Walsh (Ballyhaunis) takes position as Team Manager for 2018 and is assisted by club men David McConn and Tom Phillips. Brian Delaney (Tooreen) is also joining the backroom management as .. The Allianz Football league starts this weekend with Mayo making the trip to Clones on Sunday to face Monaghan. Mayo's last competitive game was the All Ireland final defeat to Dublin in September and the team named by manager Stephen Rochford shows 11 players who saw action in that final. The new additions are Eoin O'Donoghue, Michael Hall, Jason Gibbons & Evan Regan. All four also started Mayo last Connacht FBD game, which was against Sligo last Sunday in Ballina.Below is the start.. 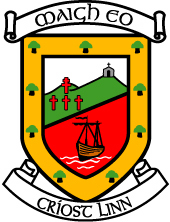 Round 5 of the Connacht FBD League on Sunday sees Mayo travel to Enniscrone to face Sligo. Following defeat to Roscommon last weekend the team shows a number of changes with All stars Brendan Harrison & Aidan O'Shea making their first start of 2018. Mayo's opening Allianz League game is away to Monaghan in Clones next Sunday 28th January.Below is the starting team, throw-in in Enniscrone is 2pm.1. David Clarke - Ballina Stephenites2. Brendan Harrison - Aghamore3. Ger Cafferkey - Ball.. Round 4 of the Connacht FBD League on Sunday sees Mayo travel to Dr Hyde Park to face Roscommon. Having drawn & lost their first two games a win is vital if Mayo have any chance of making the final. Their opponents Roscommon have won their opening two games with a win today guaranteeing them a final spot.Below is the starting team, throw in at Dr Hyde Park is 2pm.1. Rob Hennelly - Breaffy2. Eoin O’Donoghue - Belmullet3. Ger Cafferkey - Ballina Stephenites4. Caolan Crowe - Garrymore5. C..
Mayo take on Galway in Elverys MacHale Park this evening in their rearranged round 2 FBD League fixture. Following a draw with Letirm on Wednesday night manager Stephen Rochford makes wholesale changes to this his team with only Ger McDonagh, Fionn McDonagh & Neil Douglas surviving from Wednesday's draw. Below is the starting team, throw in at Elverys MacHale Park is 7.30pm.1. David Clarke -Ballina Stephenites2. Steven Duffy - Crossmolina Deel Rovers3. Kevin Keane - Westport4. Jamie Oate.. 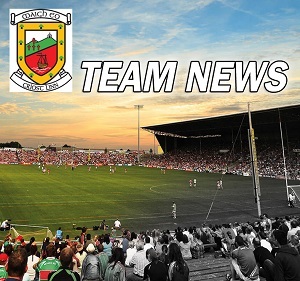 Despite this been Mayo's opening game of the 2018 season round 3 of the Connacht FBD League throws in tomorrow night when Mayo take on Leitrim in Elverys MacHale Park.With a number of the squad still unavailable manager Stephen Rochford names a team with a mix of youth & experience. Below is the starting team, throw in at Elverys MacHale Park is 7pm.1. Paddy O’Malley - Westport2. Marcus Park - Knockmore3. Ger McDonagh - Castlebar Mitchels4. Aidan Butler - Claremorris5. James Strett.. The official 2018 Mayo GAA calendar is on sale now. You can buy yours online here or from Elverys & Corrib Oil shops in Mayo. It can also be bought in local newsagents and shops throughout the county for just €10. Get yours now and start planning 2018 with the Mayo team. Following today’s convention in Hotel Westport Mayo have a new secretary, assistant secretary and coaching officer. Dermot Butler from Crossmolina was elected as secretary with Ronan Kirrane elected unopposed as assistant secretary. Liam Moffat from Crossmolina was elected unopposed at the new Coaching officer. Also a huge thanks goes to out going secretary Vincent Neary for all his work over the past five years.Mayo recorded a financial surplus of €203,275 for 2017. 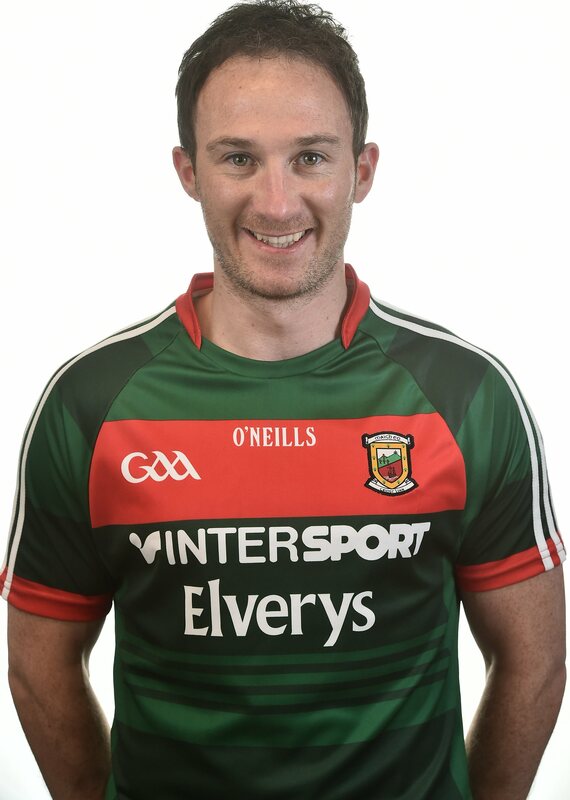 Income was €..
Mayo All-Star forward Alan Dillon has today confirmed his retirement from Inter-County football.Alan has played in the Mayo jersey for 18 years having made his Minor debut in 1999. He leaves the Inter-County scene having gained numerous honours along the way. The Ballintubber clubman made his Senior championship debut in 2003 against Sligo and went on to make 66 championship appearances. He made 134 appearances in total scoring 3-225 for Mayo and captained the Senior team in 2011 to provincial g.. 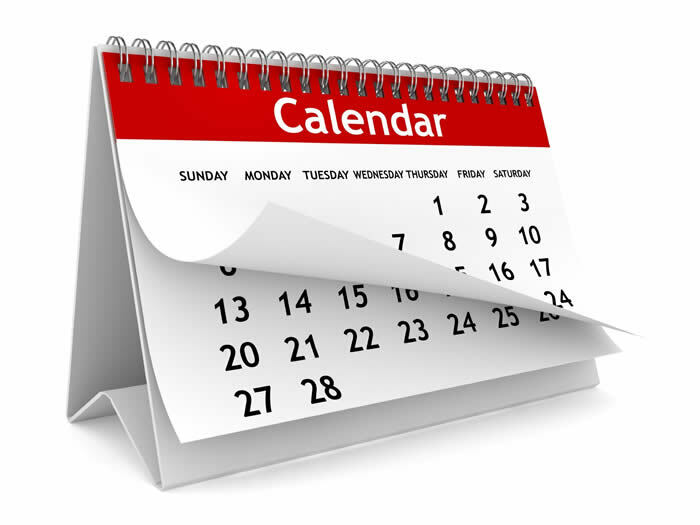 The GAA & Connacht Council have released provisional dates and times for their competitions in 2018. Below are all the details for our teams across Football & Hurling.FOOTBALLFBD League:FBD Round 1: Wednesday 3rd Jan - Sligo v Galway & Leitrim v Roscommon. Mayo ByeFBD Round 2: Sunday 7th Jan - Mayo v Galway & Leitrim v Sligo. Roscommon ByeFBD Round 3: Wednesday 10th Jan - Roscommon v Sligo & Mayo v Leitrim. Galway ByeFBD Round 4: Sunday 14th Jan - Galway v Leitrim & ..